Grand Canyon Vacations – This is for Real! 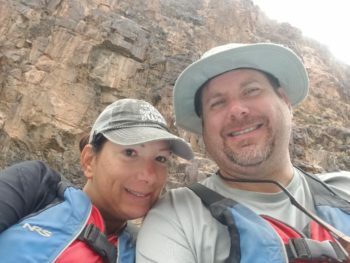 We booked this 3-day Grand Canyon trip for our honeymoon. When I saw previous videos of other people's experience in the canyon on the website, I thought it looked amazing, but it couldn't be that great. It's just an advertisement. Once I got down there and saw everything with my own eyes, there were no words to describe the feeling I got. I've been to the Vatican and it was beautiful, but when we shut off the boats and Joe started playing his harmonica and everyone was silent, it was like there was peace on earth for those few moments and that was truly the most beautiful thing I had ever seen and felt with my heart!